On Monday, Manheim launched this year’s national fall promotion titled “Raise Your Game,” a campaign the company said is designed to educate customers on how they can best tailor Manheim remarketing solutions to fit their needs and take advantage of a wide range of service offerings. With Labor Day weekend in the past and millions of students back in classes for another school year, Manheim’s four-week-promotion will run now through Oct. 10. The company highlighted the campaign will include educational videos for customers and weekly promotions for dealers to learn and win at each of Manheim’s 78 operating locations in North America. Stephen Smith, senior director of customer marketing for Manheim North America, explained that “Raise Your Game” is a company-wide campaign with local tie-ins and a national activation that leverages industry leadership to engage customers with products, services and tools to increase Manheim customers’ success. • Week one is about finding vehicles. It will emphasize the new workbook features and App functionality, including VIN scan, pre-sale inventory, Manheim Market Report (MMR) and transportation quotes. • Week two will focus on buying, and will cover retail view, enhanced imaging and the DealShield Purchase Guarantee. • Week three is all about selling. The promotion will cover best practices for all of the Manheim sales channels — in-lane, simulcast, OVE.com and mobile auctions — and how to use Remote Seller. • Week four includes My Purchases — checkout, history, mobile alerts and floor plan — transportation options through 1Dispatch and Ready Auto Transport, and more. Customers at each North American location can watch 30-second learning videos featuring the “coach” to give them an opportunity to win an Amazon gift card. These videos will promote auction attendance while providing incentives for customers to learn and win. Each video will be accompanied by a longer tutorial session through Manheim’s The Wholesale Institute (TWI). Auctions will give out instant win trivia scratch off cards, provide informational flyers and engage customers at auctions in real-time with the tools to help them win. The company said the auction "coaches" will ensure Manheim customers are learning and having fun at the same time. “The ‘coach’ videos will cover how to search smarter and not harder, pump up your buying, flex your selling muscle and master how you manage,” officials said. “This fun way to ‘Raise Your Game’ by learning and winning will help dealers utilize the latest Manheim products and services,” they went on to say. Cox Automotive is going national with its DealShield Purchase Guarantee product that lets wholesale buyers return a vehicle for any reason and receive a complete refund of purchase price and buyer’s fee. Through DealShield, the car can be brought back for up to 21 days and 500 miles from the time of purchase, depending on the options chosen by the buyer. Earlier this month, Auto Remarketing caught up with Matt Trapp, senior director of adjacent growth for Cox Automotive and founder of DealShield, to talk about the product, its inception and development. The team went out to auctions to get feedback, worked with customers to best understand their needs, conducted research and development, and so forth. In addition to helping helping buyers feel more comfortable in both buying online and in the lanes, Trapp said it also allows buyers to try out different types of inventory they might have not otherwise purchased. In essence, they can source a wider variety of cars to see if they work for the dealership. DealShield was started in mid-2012 and debuted at Manheim Statesville, which is 46 miles north of Charlotte, N.C. From there, the team moved to other select markets to fine-tune the product, and began rolling it out across the country. It was launched in Florida in July, California in August and will make its way throughout the country the remainder of this year. DealShield is rolling out in a few Southwestern markets this month, a few locations in north Midwest and before the end-of-year holidays, the company hopes to have it in every Manheim location, Trapp said. Buyers can choose to add DealShield to most purchases — about 97 percent of the cars that go through the lanes, the company says — with a few exceptions: salvage vehicles, vehicles from 1995 or earlier, and cars that have more than 250,000 miles, odometer discrepancies, or a sale price above $100,000. The guarantee allows cars to be brought back to any U.S. Manheim location that hosts sales regularly. Buyers have two choices as to how they use the DealShield Purchase Guarantee. Option No. 1 is for DealShield to be added as an individual purchase at the time of the sale to any eligible vehicle at any participating location. The other option is DealShield 360 Membership, which is available to qualifying dealers buying more than 40 vehicles annually. If a buyer purchases this membership, the purchase guarantee is automatically applied to every eligible car the buyer purchase at one consistent rate. Auction volume was up nearly 5 percent in August, according to the National Auto Auction Association, continuing what’s been a solid 2014 so far and likely the third straight year of increased volumes — with more growth on the horizon. The association’s latest Economic Dashboard — prepared by NAAA economist Ira Silver — indicated that auction volume was up 4.8 percent in August against comparable weeks of 2013. Year-to-date, it’s up 3.9 percent. In a presentation from Silver late last month titled “The First Half and Beyond,” NAAA shared data from its 2013 Annual Review that called for auction volume of 8.6 million units in 2014. That would be up 5 percent from 2013, when auction volume rose 4.2 percent and reached 8.2 million units. In 2015, NAAA is calling for auction volume of 9.1 million vehicles, a 6-percent gain. These gains in auction volume are being pushed by stronger new-car retail volumes, according to the report, which have been on an upward bump since 2010. In August, they climbed 9.9 percent, the Economic Dashboard indicates, and have improved 5.1 percent year-to-date. Although the used-car retail market struggled a bit last month — sales were down 6.5 percent — NAAA is projecting there will be 42 million used sales this year (even with last year) and climb to 43 million next year. This intersection of retail sales, auction volumes and supply trends — along with used-car prices — was something that ADESA's Tom Kontos addressed in his monthly report released this week. In the latest “Kontos Kommentary” report, he pointed out the continued sequential slide in wholesale prices, while also noting that August marked the first time used prices dropped on a year-over-year basis since January. Overall, they were off 1.6 percent month-over-month and down 0.4 percent year-over-year, according to the ADESA data. “This should come as no surprise, as this has been an outcome we have anticipated for quite some time based primarily on our predicted growth in off-lease volume,” said Kontos, who is the executive vice president and chief economist for ADESA Analytical Services. “Retail used-vehicle sales, especially for certified pre-owned units, have actually been providing a demand-side extension to the strong sellers market that consignors have generally enjoyed since late 2009,” he added. “But with the focus on new-vehicle sales in the current retail automotive market, those used-vehicle sales have had a temporary lull (although not for CPO units). Along with giving an update on how many dealers are using its mobile apps, Manheim highlighted the benefits from the investment in its new Enhanced Vehicle Imaging Suite, which is aimed at helping customers who have struggled to find vehicle condition reports with consistent imaging quality. Manheim introduced the Enhanced Vehicle Imaging Suite to customers in May, and now the capability is at 20 of Manheim’s North American locations as part of Manheim’s InSight Electronic Condition Report. “We are pleased that the feedback has been very positive,” said Bonnie Hensler, vice president of product development for Manheim. “Through customer research, we found that getting condition reports with great vehicle images remained an ongoing point of frustration. “So coming up with a solution to help our customers has been gratifying. Customers told us that having access to images that clearly and quickly assess what is wrong or special about a vehicle would give them greater confidence when buying and selling, and we have delivered,” Hensler continued. The Enhanced Vehicle Imaging Suite can provide the highest resolution images available, delivering showroom quality that can help sell vehicles online quickly. Officials highlighted the improved package, offered with Manheim InSight Condition Reports, can provide customers up to 18 vehicle images, “heat map” graphics that can help buyers quickly assess vehicle condition and a dedicated photo staff with the goal of ensuring consistent image quality and standards across all Manheim locations. Manheim indicated dealer feedback has been extremely positive. Reed Brklacich of BARCO Rent-A-Truck, based in Salt Lake City, consigns all his vehicles at 10 Manheim locations around North America. “I sell all my trucks at Manheim,” Brklacich said. “I like the new enhancements, and how the pictures portray my vehicles.” Brklacich reports higher sales and steadier prices since adopting the Enhanced Vehicle Imaging Suite over the past several weeks. From a buyers’ standpoint, Brett Broghammer of Integrity AutoSource of Vadnais, Minn., has been very pleased by the Enhanced Vehicle Imaging Suite. Michael Zins of Maplewood (Minn.) Toyota said the zoom tool has been helpful to review damage to a vehicle, while Nick Nyhus Family Sales of Perham, Minn., shared that the imaging product has helped him buy effectively and exclusively online and via Simulcast. As consumers increasingly rely on mobile applications to transact business, so do nearly 50 percent of wholesale dealers, according to Manheim. During the past year, Manheim’s dealer customers used their mobile devices not only to find and buy inventory, but also to track and monitor the entire post-purchase process. To date, dealers have listed more than 50,000 vehicles using the company’s mobile listing tool and received more than 100,000 vehicle notifications via their mobile devices. “I use the Manheim app daily, it is absolutely the best tool for my business,” said Brian Harmon, dealer principal at RV and Boat Liquidators. In addition, using an iPad, iPhone or Android device, dealers can tap into the Manheim app to research MMR values and purchase vehicles that are listed on OVE.com or sold through Simulcast. After their purchase, they can use the app to finance vehicles and order transportation. Sellers can also list vehicles in the Manheim marketplace and disclose vehicle condition information using the Manheim app. “Whether it’s creating a seller disclosure, listing a vehicle, conducting searches or managing auction check-out, dealers tell us that our digital tools are easy to use and save them time,” Lasker said. Lynnway Auto Auction named a new vice president of national account sales, and appointed to that position is a former leader at ARI and State Line Auto Auction, Jeff Bennett. “It is with great pleasure that we welcome Jeff Bennett to Lynnway Auto Auction,” said company president James Lamb. “His many years of experience in the auction industry, as well as in fleet remarketing, make him uniquely qualified to head national account sales. “We know he will prove to be a tremendous asset to our management team, and we are excited to work with him as we build our customer base and refine the service offered to our national accounts,” Lamb added. Bennett joins the auction following five years with ARI, where he led remarketing of heavy trucks, vocational trucks and equipment fleet for ARI’s leasing programs. He also spent a decade at State Line Auto Auction. Copart recently announced the top three winners of its first-ever Copart Rebuild Challenge, a contest designed for enthusiasts and auto rebuilders to show how they restored, customized or rebuilt a vehicle. Copart members from across the country submitted their rebuild projects for a chance to win the $10,000 grand prize. A panel of Copart judges narrowed the contest entries to 10 finalists, and then the public voted to select the top three winners. Entrants ranged from first-time car enthusiasts to professional rebuilders. The company highlighted the $10,000 grand prize went to John Redshaw from Pennsylvania. In his video, Redshaw described how he turned a damaged motorcycle into a customized three-wheeled bike. Copart mentioned Redshaw has rebuilt a handful of vehicles over the years, and today, many of his family members drive vehicles he repaired. “For someone looking for a car and trying to save some money, it is very feasible to buy from (Copart) and repair it yourself,” Redshaw said. Redshaw has been a Copart member for three years and said he plans to use some of his prize money to purchase his next big rebuild project. At a young age, Redshaw was in a motorcycle accident and lost functionality in his left arm. The three wheeler he rebuilt for the Copart contest was the first bike he had been on since his accident. He modified the bike to allow him to ride without using his left arm. “John is a perfect example of how our buyers understand the possibilities of used or damaged vehicles. It’s very inspiring,” Burgener said. The second place winner was Chad Lennert of Indiana, who rebuilt a Subaru WRX, and the third place winner was Joshua Meeks of Georgia, who rebuilt a BMW Z3. To view Redshaw's video, click the above window. All other finalist submissions can be viewed at Copart.com/Winner. The Dealer’s Auto Auction of Mobile decided to employ alternative methods to stir up local interest in its public sale on Thursday. The auction’s general manager, Al Praitano, previewed the day’s spoils via the airwaves on Mobile’s local station 95 KSJ. Praitano said the initial attraction to one of the most classic forms of advertisement was the potential to reach an average of 9,000 listeners every time the public auction was mentioned. David Andrews, the chief executive officer of City Enterprises LLC, who was on the air with Praitano, was thrilled with the unexpected exposure that radio still receives. “The numbers the station supplied surprised me,” Praitano said. “We realized our remote broadcast with WKSJ-FM had the potential to reach over 35,000 listeners during an afternoon live remote broadcast. “When trying to reach the public from our usual position as a dealer-only auction, it is challenging to find ways to interest and involve the public,” Praitano added. DAA Mobile hosts its dealer sales every Thursday at 9 a.m. with monthly GSA sales that are open to the public. Cox Automotive named a senior vice president and chief people officer today, appointing Rock Anderson to the role, effective immediately. Anderson had been Manheim’s regional vice president – West Regional Operations. Filling that position now is Barry Roop, Manheim’s market vice president for the Texas market. Roop, as some may know, was president of the National Auto Auction Association in 1993 and was co-founder and past president of the Texas Wholesale Auto Auction Association. “Cox Automotive’s goal is to leverage the deep experience and diverse skills of our current leadership to build the best workforce in the industry,” said Sandy Schwartz, president of Cox Automotive. “Rock’s knowledge of our culture and his approachable style will be assets, as we find new and better ways to engage employees in delivering added value to our customers. “Barry’s broad operational experience of more than 40 years in the auto industry and his success in leading teams and driving results will be invaluable to us in this role,” Schwartz added. Anderson is on Manheim’s executive team and previously headed up its global people strategy. In that role, he led all human resources functions, including overseeing corporate and field operations, security and employment practices. He will report to Schwartz, and Roop will report Manheim North America chief operating officer Janet Barnard. The application grants access to information that would be normally available in person at auctions, as well, including “on the block” vehicle information, vehicle run lists, and the ability to switch between auction lanes. According to Xcira, a version of AuctionEar compatible with the Android platform is currently in development and will be available soon. For more information about Xcira or the AuctionEar app, visit the company's site here. For any NAAA-member auctions interested in participating in Auto Remarketing’s “Auction Life” feature — which is part of our annual National Auto Auction Association Convention Issue — the deadline to submit photos is this week. This special section of our NAAA Issue will include photos from auctions across the country, sharing bits of the day-to-day life from the past year at these outstanding businesses. So far, we have received entries from auctions all over the U.S. — and they have been great. If you would like to submit photos of auction(s) to be included in this special section, please email them to Auto Remarketing editor Joe Overby at joverby@autoremarketing.com no later than 5 p.m. EST on Thursday (Aug. 28). And these photos can run the gamut. They will need to be in high-resolution, JPG format. Please send captions, if they are available, as well. And while we strongly encourage these photo submissions, we won’t be able to print every photo. Once again, as a bonus, we will also be running some photos in our digital version of the magazine as an Online Extra. Not sure what kind of photos to send? Look to the Auction Life magazine spread from last year — which starts on page 36 of our 2013 NAAA Issue — and the online extra slideshow from last year (digital button at upper right-hand corner here) to spur those ideas! Thank you very much for your assistance with this project. 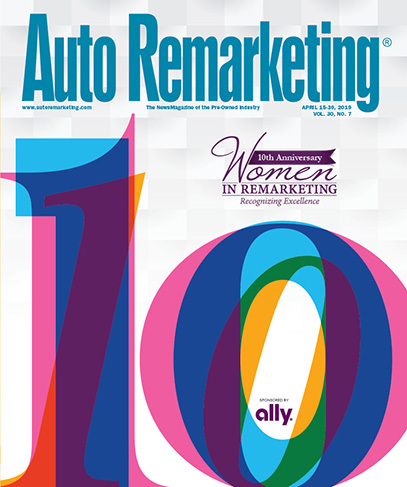 The entire Auto Remarketing team is very excited to see what your auction has to share!